Marianne Williamson and her run for Congress...Why now..
Marianne Williamson is an internationally acclaimed spiritual author and lecturer. Six of her ten published books have been New York Times Bestsellers. Four of these have been #1 New York Times Bestsellers. A Return to Love is considered a must-read of The New Spirituality. A paragraph from that book, beginning "Our deepest fear is not that we are inadequate. Our deepest fear is that we are powerful beyond measure..." is considered an anthem for a contemporary generation of seekers. 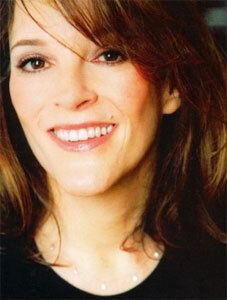 In December 2006, a NEWSWEEK magazine poll named Marianne Williamson one of the fifty most influential baby boomers. According to Time magazine, "Yoga, the Cabala and Marianne Williamson have been taken up by those seeking a relationship with God that is not strictly tethered to Christianity. She is the founder of Project Angel Food, a meals-on-wheels program that serves homebound people with AIDS in the Los Angeles area, and the co-founder of The Peace Alliance, a grass roots campaign supporting legislation to establish a United States Department of Peace. She serves on the Board of Directors of the RESULTS organization, which works to end poverty in the United States and around the world. Williamson is also the force behind Sister Giant, a series of seminars and teaching sessions that provides women with the information and tools needed to be political candidates. Marianne officially announced her candidacy for election to the U.S. House of Representatives from California’s Congressional District 33. While many seekers have turned away from politics, viewing spiritual and political pursuits as mutually exclusive, I agree with Mahatma Gandhi that “Anyone who thinks religion doesn’t have anything to do with politics doesn’t understand religion.” I don’t believe we can afford to be “selectively conscious,” applying more enlightened principles to only some aspects of human endeavor. I believe the wisdom of the heart is the one thing most lacking in politics today – but how can we complain about that if we ourselves aren't putting it there? We need to make a concerted effort now to turn love into a political force. We need a politics of conscience -- a new era of public discourse in which love is not minimized, the voices of women and children are not marginalized, and the future is not bartered for a pot of unrighteous gold. Love should be our bottom line, in politics as well as in everything else. Let’s create a new chapter in American history! I hope you will peruse my campaign website and see if your heart is called, as mine is, to an effort at creating a transformational politics. I feel called to run, and I hope you feel called to join the effort. Whether you live in California’s District 33 or not, I hope you feel that by supporting my campaign you are supporting a new era in our national discourse. I can't do this alone. Let's use our collective voices to create a new, transformational politics. Thanks for joining me in this amazing journey. Together, I believe we can truly rock the world.